Come glaze a trail with us! For lovers of fitness and the great outdoors, what could be better than trail running in a beautiful park? Unless, of course, you add donuts! Perfection! The new Donut Trail Running Series offers runners the opportunity to experience the diverse and scenic trails of Lake Roland. We will meet three times a year. A different, well-marked, trail running course will be offered each time. The length of the run, trail surface, and difficulty will change depending on the course, but will generally be less than five miles. No run times will be recorded, but finishing order will be noted. Donuts await you at the end of the run! Participants can meet and socialize over donuts and an assortment of hot and cold beverages. Top finishers will also be recognized during this time. 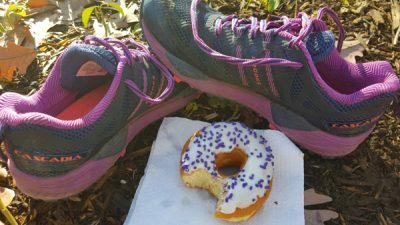 Please join us for the next Donut Trail Running Series run. 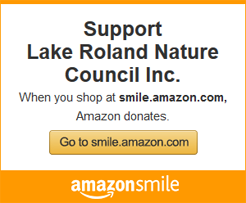 We will meet in the Nature Center. No strollers or pets. Must be 7+ years to participate. The number of participants is limited to 30. Cost is $3 for members/$5 for nonmembers. To register please email lakerol-rp@baltimorecountymd.gov. Please provide Name of each participant, Name of Program, Email Address, and a Phone Number. Staff will respond when they process your registration for payment procedure. If you or a group or runners are interested in volunteering and assisting with this or other trail maintenance projects with the Trails Committee, please contact us at recreation@lakeroland.org.